Wednesday Love to you all! While we still have no snow, I think I would rather have that than the constant drizzle of freezing rain. Mother Nature in Oklahoma is much like a menopausal woman. Freezing one minute and hot as hell the next. It’s just too much to keep up with. 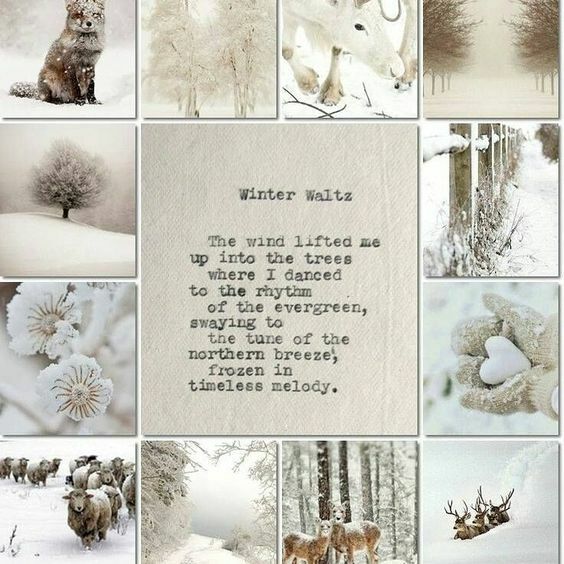 I love this little winter poem. I love the idea of winter and snow. I love the reality of sandy beaches and sunshine! Are you still in the deep freeze? With this allergy turned bronchitis mess, I’ve been stuck in the house under covers drinking copious amounts of tea, full of herbal goodness. Last night my fever broke just as Tommy’s blood pressure tanked again and he almost passed out again. I wish I had a video of that scene. Him yelling, ” I’m going to throw up!” And me running for a bucket and making a Heisman worthy jump over the coffee table to land with my arm outstretched with the bucket which barely made it under his mouth in time. I was worried about him all night. Slept with my hand on his chest to make sure he was breathing. Finally he grabbed my hand and told me he was okay now. This morning I told him if he was going to keep trying to faint and barf I was going to rearrange the furniture so none of my things would get broken. The poor man was just barfing away while I had my fingers in my ears humming loudly. Today I feel better. I’m coughing, but it’s a good cough and I don’t feel like crawling into a hole and dying. Which is really good since tomorrow is the big day for pre-op work and then surgery on Friday. Keep those prayers coming! My nephew’s long time girlfriend was killed in a car accident yesterday in Pass Christian, Mississippi so we are doubling down on the prayer. He is such a sweet boy, who isn’t really a boy anymore, but he will always be the baby. Have a great day. Be Kind. Drink Tea. I’m in a cozy studio on an island after our first snowfall…I just finished a Vanilla Chai tea while I wander through some beautiful blog posts (including yours! ), as always, we’ll be sending our thoughts and prayers, take good care! Oh that sounds lovely! Thank you for the prayers and Enjoy yourself! Thank you so much…I hope all went well…take good care! I’m glad you are feeling better. You’d need to be in top shape for barf duty. Prayers continue. I have Friday fixed in my head for special prayer time for y’all. Dear God that sounds like a lot to deal with. Hope you both get better. Freezing rain and snow here for a week or more. Sheets of ice on the roads all next week. I prefer snow too. Good Thursday morning. We have a bit of freezing rain here and agree that snow is much better, safer, and prettier. I am so sorry to hear about your nephew’s girlfriend. I said a prayer right after reading this post and although, I am late to this post and what has been going on in your life, I am praying for you, your husband and the surgery.